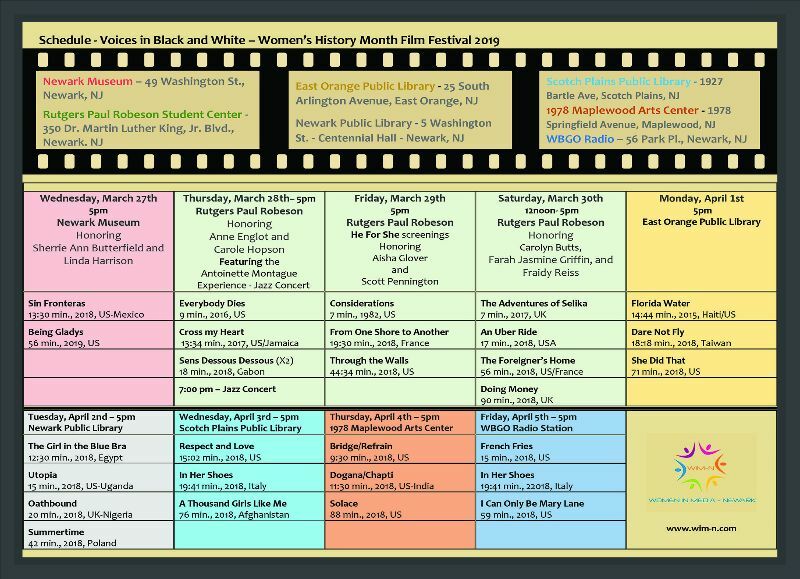 March 27th - 5pm - Free festival opening at the Newark Museum with the screening of Being Gladys, the story of Newark's Gladys Barker Grauer. 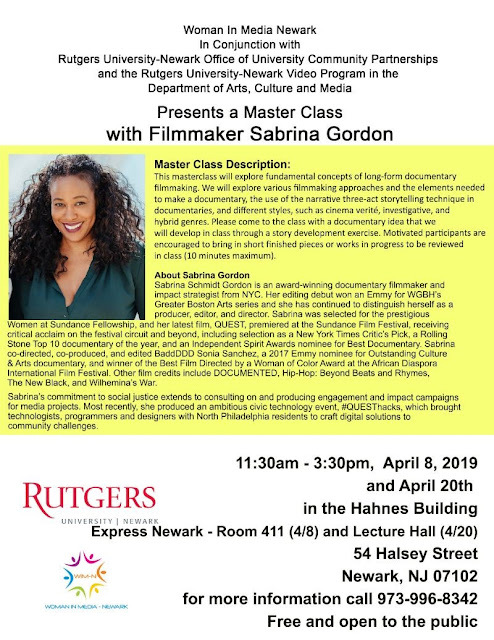 March 30 - 12noon - Screenings include "The Foreigner's Home," that examines Toni Morrison's vision for an improved humanity; and "Doing Money," a film about human trafficking at Rutgers University - Newark's Paul Robeson Student Center. Click here to register for the concert via Eventbrite. 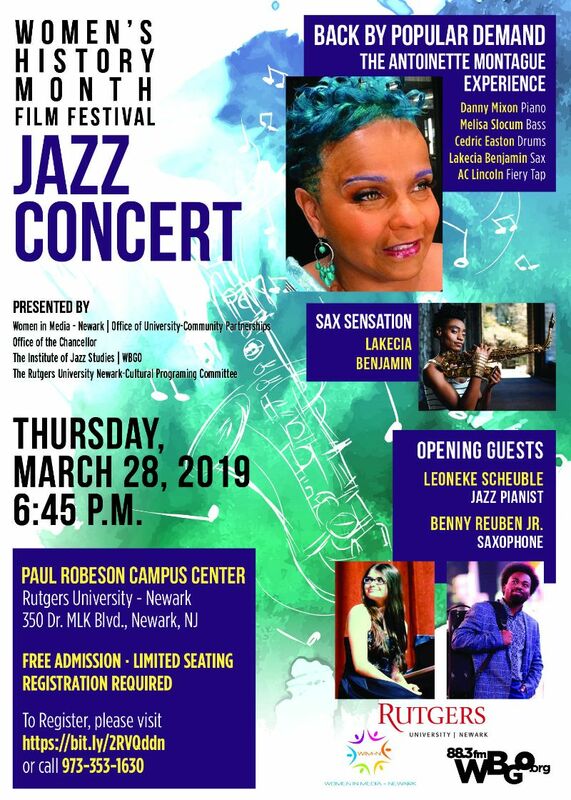 Please join us on Friday, March 29th, at 5pm at Rutgers Univ. - Newark's Paul Robeson Student Center when we'll kick off our He For She campaign where we ask men to come out in support of equitable opportunities for women! Please bring the significant men in your life for film screenings, a panel discussion with producer Woodie King, Jr., screen writer Richard Wesley, filmmaker Nefertite Nguvu and producer Indira Etwaroo from the Billie Holiday Theatre, and a reception where we can continue the conversations. 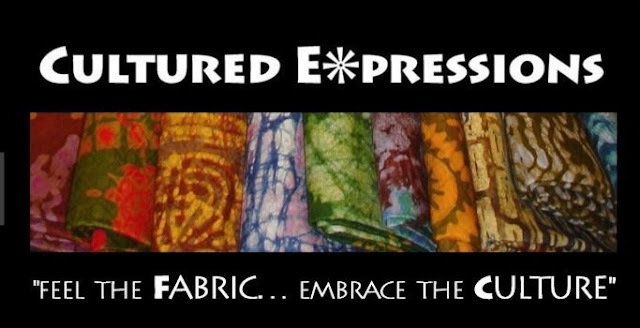 On Friday, April 12th, at 6pm we will have a command performance of two films at Cultured Expressions, 1417 Main Street in the Arts District of downtown Rahway, NJ. The two blockbuster films will be Janine Sherman Barrois' French Fries and Tchaiko Omawale's Solace (Solace features Hope Olaide Wilson, Lynn Whitfield, Glynn Turman, Chelsea Tavares, Luke Rampersad and Sydney Bennett (from the music group The Internet), with music composed by Meshell Ndgeocello). 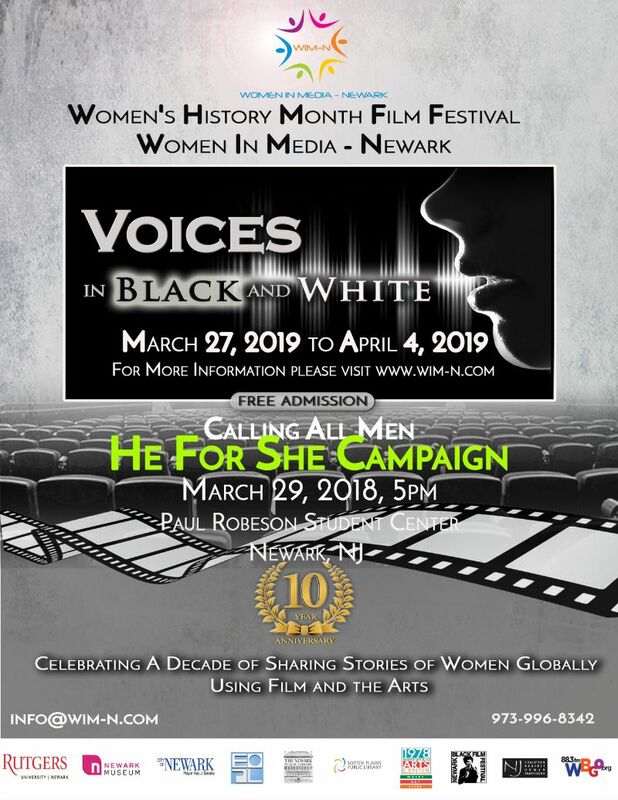 Please join us for this free end to Voices in Black and White, our 2019 Women's History Month Film Festival!